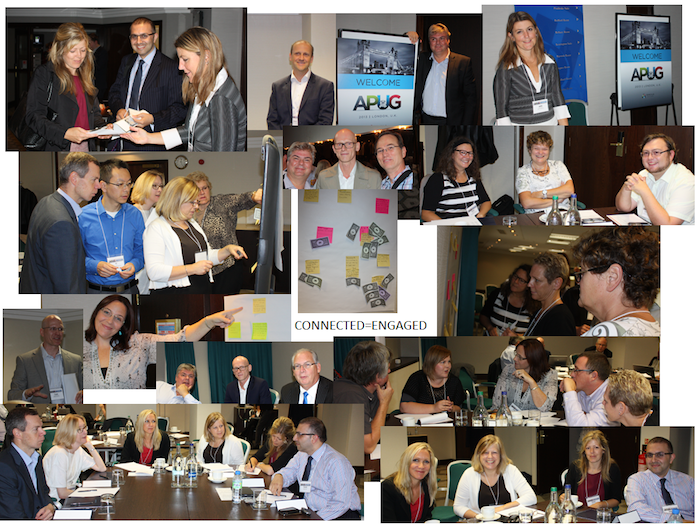 APUG London – A Great Chance to Engage and Connect! 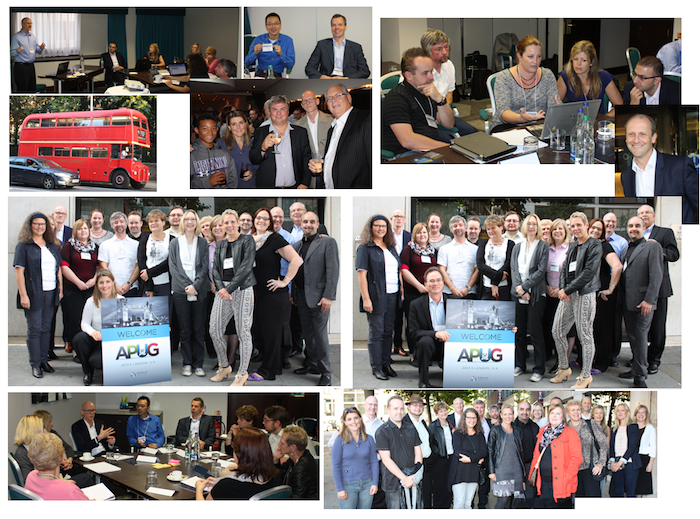 Larry had the pleasure of attending our ANCILE Products Users Group (APUG) in London on 23-24 September 2013. Customer representatives from National Grid, TeliaSonera, Novelis, Sealed Air, University of Newcastle, Velux A/S, Avon and Somerset Police, AGCO International, FOD Budget & Beheerscontrole and Johnson Controls traveled from various locations around Europe to attend this APUG, which was located in the Hilton London Olympia in Kensington. With a well-coordinated mix of presentations and discussions hosted by ANCILE employees and one customer, we covered the topics of New features and functionality in in ANCILE uPerform™ 5, Win Hearts and Minds with ANCILE uAlign™, Online Training and Assessment, and Modifying the Look and Feel of uPerform™ Webskins. There were plenty of great questions which led to interesting discussions and a great sense of information exchange and collaboration among the attendees throughout the event. In the evening, we all went for a 10-minute walk from the hotel to Whit’s Restaurant just of the Kensington High Road and had a tasty meal and a great chance to continue discussions from earlier in the day and get to know each other better. On the second day more presentations and hands-on workshops were held which covered the topics Getting the Most out of Product Support, Crowd-Sourced Authoring with ANCILE uPerform™ 5, Test drive uPerform™ 5 and Integrating Context-Sensitive Help (CSH) for non-SAP Systems. Based on popular demand from past events, a number of interesting topics were covered at the Roundtable Discussion in the afternoon which provided members of the ANCILE team to understand some of the challenges customers are facing and allow ANCILE and fellow customers at the event to provide their recommendations in finding solutions. As with all of our APUG events in the past, those who attended expressed how well this event was organized and how it offered them an excellent chance to find out about the new functionality in ANCILE products and to network with ANCILE and fellow customers. Larry looks forward to seeing you at the next APUG. Please subscribe to the ANCILE Newsletter in the lower left-hand corner of our http://www.ancile.com website to receive information on upcoming events. Here are some additional pictures….